Awarded 2nd prize in a national cake decorating competition! Can easily be adapted to other sizes/ages. 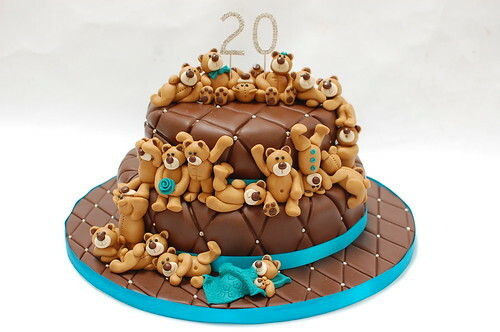 The Twenty Tumbling Teddies cake – from £125.